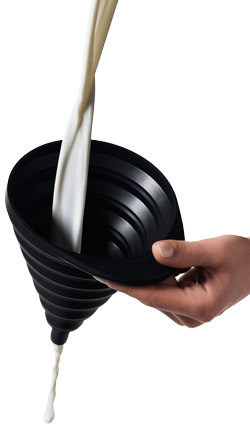 you use it like any other funnel (it is rigid enough and holds itself well), but you can also bend it or tilt the spout to exactly meet your needs. A large and thick handle gives it an excellent grip. 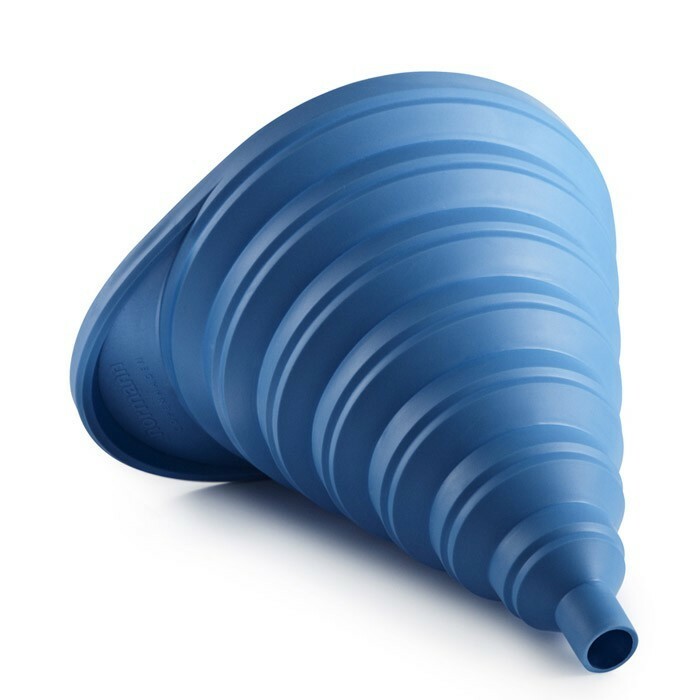 The Normann retractable funnel is a brilliant product, for the intelligence of its design as well as the intrinsic qualities of the material that composes it: rubber. 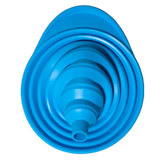 Normann did some research to find rubber that was sufficiently flexible to be folded numerous times without getting damaged, but also rigid enough to use it as a standard steel or plastic funnel. 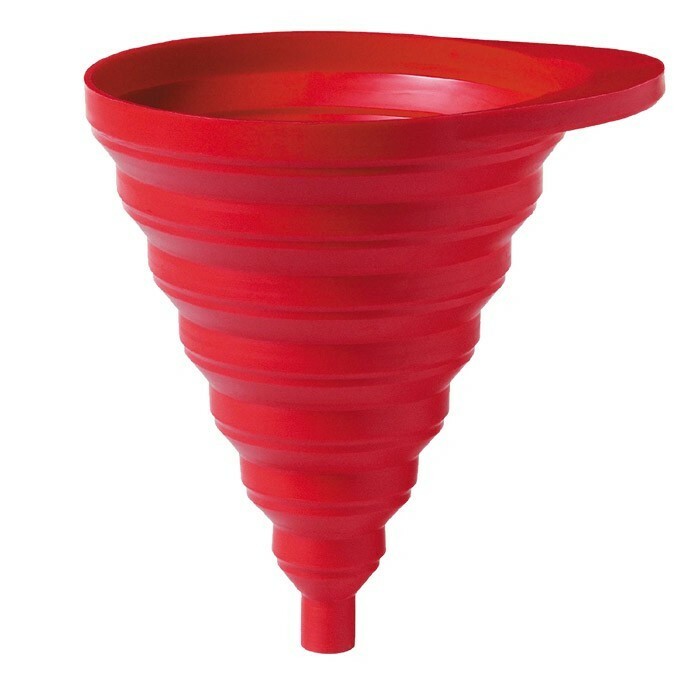 Boje Estermann, its designer, got the idea of a retractable funnel one day, where in his small apartment, he needed a funnel but didn't have one (voluntarily), for lack of storage space. Frustrated, he admitted that a funnel is an indispensable utensil in a house, and started to think of ways to create a compact funnel. It was while observing his old camera and its folding sun visor that he had a flash. 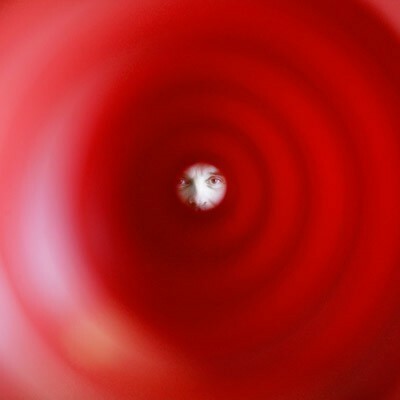 He then got to work to design the excellent retractable funnel. 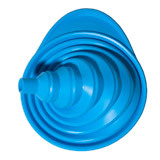 robust -designed to be folded and unfolded endlessly, the use of excellent quality rubber confers to the funnel a great longevity and the possibility to be used safely with all types of fluids (from boiling jam to acid including waste oil). versatile -its foldable design allows it to be unfolded to the desired height, and its flexibility allows it to be bent or squashed precisely according to your needs: who never spilt oil around the reservoir simply because the space around the cap was too narrow to place a rigid funnel? practical and aesthetic - fine-looking folded or unfolded, available in 3 colours (black, royal blue, and red), it shows its beauty when in use, and makes itself unnoticed when you don't need it.